I saw the costume contest listed on your website. 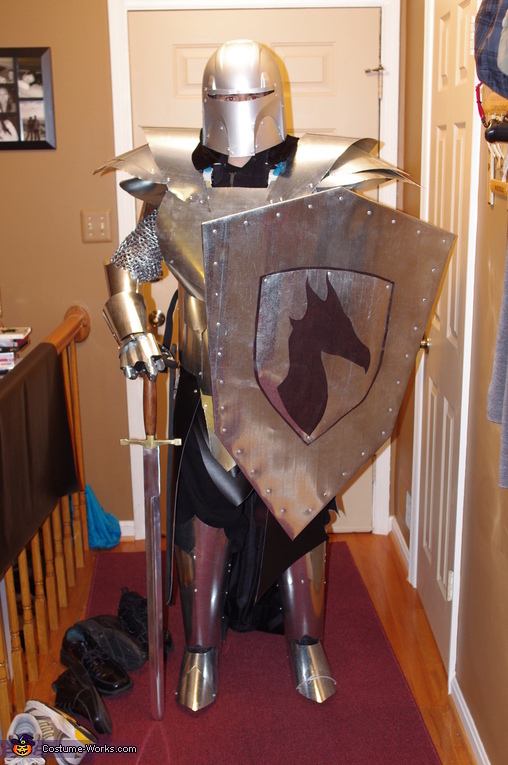 Attached are pictures of the Medieval Knight costume I made for this year. If it is all right I would like to enter my costume. All of the armor is made from sheet metal that I riveted together. The dragon emblem on the shield is made from fake leather I got from the fabric store, which I also used for the upper leg pieces. The only part of the costume that I did not hand-make is the sword.